The conference titled “Assisting Vietnamese businesses with increased access to credit through improving governance and financial transparency” was held in Hanoi. While the state budget and domestic producers can suffer from lower import taxes, consumers will benefit handsomely, economists say. After studying business reports of six different industries from 2014 to 2017, Le Thi Kim Chung, economics professor with the Thang Long University in Hanoi, noted that the state budget lost $1.5 billion from 2017 tax reforms, while enterprises lost about $1.3 billion and fired 35,230 workers. On the other hand, consumers benefited the most, with a combined surplus of nearly $2.9 billion and a social offset of more than $8.5 million, a VCCI release said, citing the professor’s research findings. In order to cope with the negative impacts of Free Trade Agreements (FTAs), Kim Chung said enterprises have to increase the quantity and quality of products to compete with imports, while business owners need to improve their management and deploy appropriate business strategies. The release also quoted experts as saying listed companies should prioritize sustainable growth so as to improve their financial performance. It said researchers at Thang Long University have found a strong linkage between a company’s sustainable growth and financial efficiency. Hoang Quang Phong, Vice Chairman of the Vietnam Chamber of Commerce and Industry, said while banks have taken some steps to facilitate credit access for small and medium-sized enterprises, they have not gone far enough. More effective measures are needed to help many small firms and startups still struggling to get loans, he said. 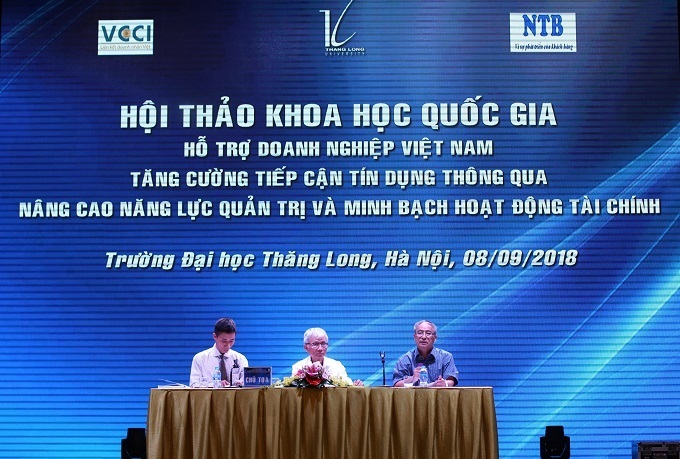 The views were expressed at a conference titled “Assisting Vietnamese businesses with increased access to credit through improving governance and financial transparency” held at the Thang Long University on September 9.The conference was jointly organized by VCCI, Thang Long University, and the NTB Traffic Construction Company.